USA Liberty Media, LLC is a veteran owned digital publishing company that had their entire network of Facebook pages shut down by Facebook on October 11, 2018 without any notification or warning. We were not alone though, at the same time our Facebook pages and profiles were terminated, so were some 600 other Facebook pages and 200 profiles... These were not pages owned by Russia, China, or any other foreign actors... These were Americans... Hard working men and women, many of which were veterans. Americans have fought and died for more than two centuries now to preserve the basic rights our founders secured and passed on to us in the Bill of Rights... Freedom of speech was so important to them that it became the First of Ten Amendments to the Constitution. Over the past few years Facebook has been gradually taking control of the new public square by controlling what information appears in your timeline and what information does not appear in your timeline. For years Facebook encouraged digital publishers to build their business on their social media platform and veterans like myself spent hundreds of thousands of dollars on Facebook advertising to promote and build our business brands lining their pockets with our money while providing content for Facebook users that helped Facebook to grow as well. The more valuable they found the space on your timeline, the more control over the timeline they took. Facebook no longer cares what the user wants to see or does not want to see... A few years ago, when you "Liked" a commercial Facebook page because you were interested in the content they offered, you would receive notification every time that page published something... Today the pages you "Like" get less than 1/2 a percent of what they publish delivered to your timeline. We believe in your right to discern for yourself what you want to read and what you do not want to read. We want to take the fight to Facebook and settle one very important question once and for all... Is Facebook the new "public square" and do the free speech rights of the American people extend into that public square? 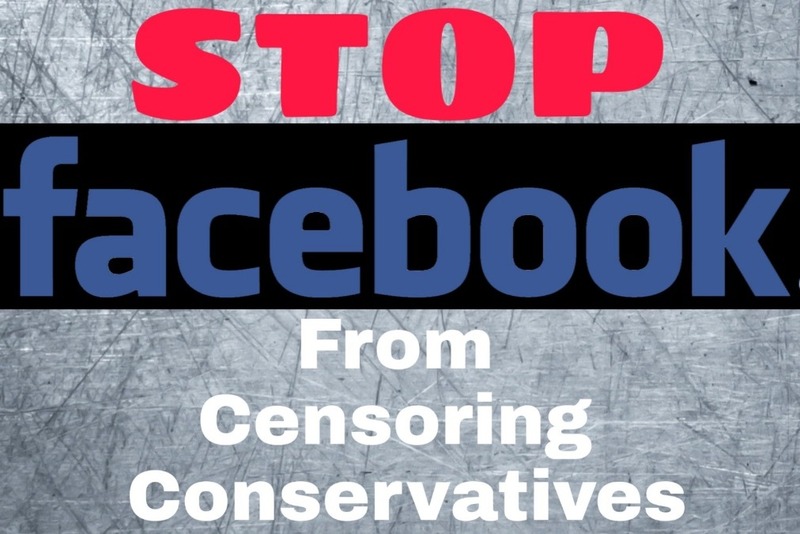 The pages removed by Facebook were conservative news pages and we believe Facebook removed the pages to silence the conservative side of the debate before the midterm elections. If you have any doubt about the allegations of fake news, I would encourage you to visit the only website we still have active, https://thetrumpnewsgazette.com, and see for yourself. We do not publish fake news. We are in contact with a law firm that that is willing to represent us and take on the social media giant, but we need your help. We need to raise $15,000 to retain the law firm who has offered to take our case on a blended contingency agreement. We pay a portion of the hourly legal fees and they receive a portion of any settlement. Regardless of what your political views are, we hope that you will agree that the decision to decide what information you want to receive and read should be yours and yours alone. A donation of $5, $10, $15, $20, or whatever you can afford will help us take the fight to Facebook and will be greatly appreciated. 100% of the funds will go towards USA Liberty Media legal fees as we represent the right of ALL Americans to speak their mind on social media. We absolutely must stop social media from shutting down free speech in America and meddling in elections by manipulating the news. Thank you to our first donors, we are going to need all the help we can get to take on facebook.